Ok, pointless but very cool. 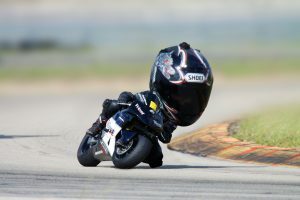 Honda is a leader in robotics so this is a natural progression for them. “No automaker keeps quite as many strange side projects afloat as Honda, which has everything from jet planes to walking robots underway in its engineering studios. 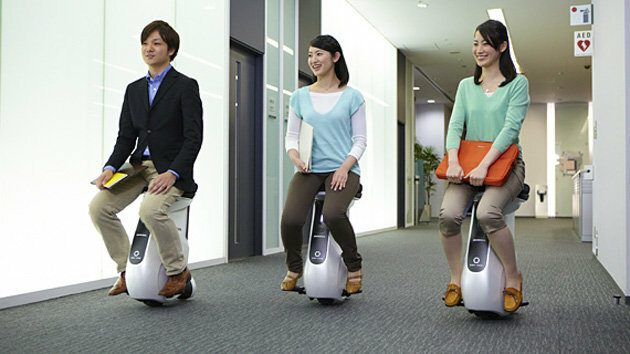 On Tuesday, Honda revealed its plans for another company invention, a rolling stool it now calls the Uni-Cub which users steer by the seat of their pants. One can only hope for a racing version. Designed to mimic the speed and height of walking, the Uni-Cub’s lithium batteries power a trick wheel that can move any direction. Using sensors on the seats, riders simply shift their weight in the direction they wish to travel — there’s also a smartphone control app — and the unit rides high so that the riders have eye contact with people not cool enough to glide around the office up to 3.7 miles on a charge.